The Narratives of a Near Future international conference is on at Genève’s HEAD on December 14 and 15. ‘Rewind Forward’ looks at past, present and future, ‘Inhabit the Anthropocene’ examines the relationship between humans and the environment, ‘Decoding/Recoding’ concerns economy and digitization, and ‘Collective Super Egos’ will explore hybridity and fluidness in the body. Through a series of talks, performances and screenings, Narratives of a Near Future 2017 will feature Marguerite Humeau, Metahaven, Jussi Parikka, Joana Hadjithomas & Khalil Joreige, J.G Biberkopf, Cécile B. Evans, Korakrit Arunanondchai, Lauren Huret, Ying Gao and Mathis Gasser, among many others. Metahaven is presenting solo exhibition Information Skies at London’s Auto Italia, opening October 4 and running to October 30. This the Dutch art and design studio’s first UK solo exhibition, opening concurrently at Mumbai Art Room in India. The group will present their 2016 film ‘Information Skies’, which is informed by VR and dramatises experiential technology. The film uses live footage and animation, while thematically exploring concepts of authenticity positioned as “fictional provocations” and questions belief systems. The film includes a young couple in a forest with warriors, dragons, and dreams. The show also includes a documentary film installation entitled ‘The Sprawl (Propaganda About Propaganda)’, a 70-minute “dive into online and offline truths, fictions, and their sponsors”. Benjamin H. Bratton, Maryam Monalisa Gharavi, and Peter Pomerantsev offer commentary in the video, which identifies “how planetary-scale interface culture is transforming geopolitics and state power”. 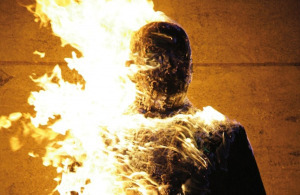 Together both films form a “new cinematic topography, creating fragmented territories of images and suggestions, and building a worldview that is at once attractive and terrifying”. The Bread & Roses: Artists and the Class Divide group exhibition is on a the Museum of Modern Art Warsaw (MOMAW), opening February 18 and running to May 1. In acknowledging “the tension that characterizes the current political and social conflicts” in Poland and by extension its art world, Bread & Roses aims to interrogate this ambivalence by placing work by Polish artists within an international context. The exhibition features 30+ Polish and international artists including Iván Argote, Brace Brace, Jesse Darling, Debora Delmar Corp., Andrea Fraser, Christian Jankowski, Magdalena Malinowska, Metahaven, Łukasz Surowiec, Christopher Kulendran Thomas, Andrew Norman Wilson and many more. Andrew Norman Wilson, ‘Global Mosquito City Proposal’ (2015). Install view. Courtesy Chewday’s, London. 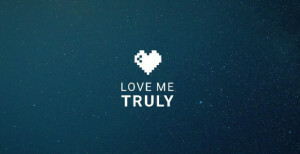 Online exhibition Love me truly will be launching in English at its lovemetruly.net location on January 10. Participating artists and collectives include Metahaven, Anne de Vries, Elstran Bros, Claudia Maté & Miggu, Anthony Antonellis, Agente Doble, Intimidad Romero, LaTurbo Avedon, Ann Hirsch, Erica Scourti, Pascale Barret and Miyö Van Stenis. Developed by Helena Grande as part of Matadero Madrid’s El Ranchito Japan/Korea 2015 residency programme, other events and resources surrounding the project include a panel discussion with Grande, Abelardo G. Fournier, Amparo Lasén, Bernardo Villar and Remedios Zafra, as well as interviews and an exhibition running at the art space November 27, 2015, to January 10, 2016. Amsterdam-based graphic design agency Metahaven are appearing in conversation with London-based strategist Benedict Singleton, along with a screening of their new work ‘The Sprawl’ at Rotterdam’s Witte de With, on November 24. ‘The Sprawl’ is a documentary art film that follows Metahaven’s earlier forays into video, including ‘City Rising’ (2014) and music videos for Holly Herndon. This partially Russian-spoken project exists at the intersection of several crises -the outbreak of Ebola, the conflict between Russia and Ukraine, and the rise of the Islamic State -and features interviews with Benjamin H. Bratton, Monalisa Gharavi, and Peter Pomerantsev. 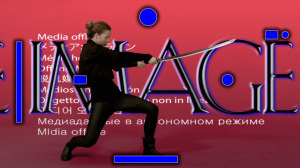 As part of the Netherlands contemporary art centre’s year-long project Art In The Age Of…Asymmetrical Warfare talk and screening series running to January 3, the event will include the new work as a visual reference within an in-depth conversation with Singleton. 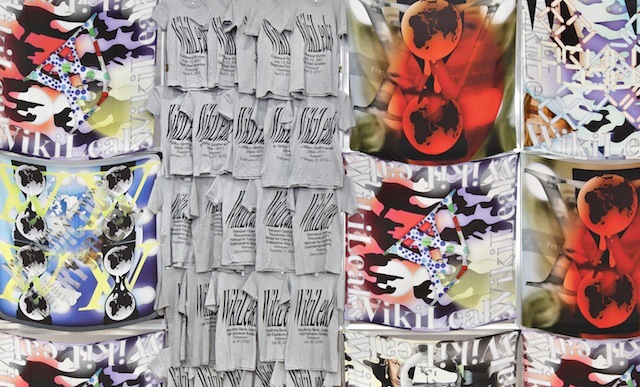 Metahaven, Transparent Camouflage (2011-2013): WikiLeaks scarves and t-shirts. Installation view. Courtesy Future Gallery, Berlin. Amsterdam-based strategic design agency Metahaven will launch their new book, Black Transparency with an event hosted at Amsterdam’s San Serriffe on November 5. 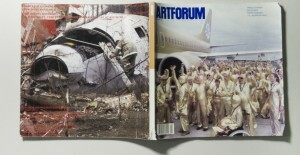 The theme of the book continues the agency’s interest in the conflation of aesthetics and politics in a hyper-connected world. Their previous books, Can Jokes Bring Down Goverments? (2013) and Uncorporate Identity (2010), consider the changing nature of visual practice within internet cultures. This book is based on their exhibition, held under the same name, Black Transparency held at Berlin’s Future Gallery in 2014. Explored in both the book and exhibition is the concern of the way in which information openness is not a uninlinear or undifferentiated proposition. Such ideas will be expanded on in conversation withAmsterdam-based graphic designer and design researcher, David Bennewith, on the night. 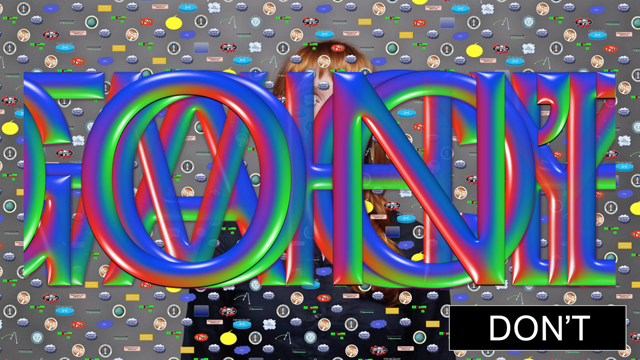 Header image: call.hollyherndon.com. Screen capture courtesy Metahaven. The final event of the Ariel 2.0 series is on at London’s Bold Tendencies featuring Felicita and Tami Tamaki on September 23. Following an impressive programme curated by Leo Liccini and including the likes of Cakes da Killa, Hanne Lippard and Nkisi, London-based artist Felicita’s paradoxical music production of a sort of violent tenderness meets Tamaki’s gender ambiguous approach to vocal effects and lyrical content. This will be the Swedish producer’s debut UK performance of a sound that is both sexually explicit and emotionally charged. Along with the live programme Metahaven‘s mega installation Possession, curated by Attilia Fattori Franchini will be on show in the same car park space throughout September. 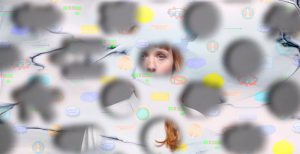 “Are you doing anything internet-intensive right now?” Holly Herndon asks through Skype as she struggles with a new internet connection from her latest base in Los Angeles. The US-born but fairly peripatetic producer can’t hear, typing words into the chat window saying she’s only getting every second syllable. 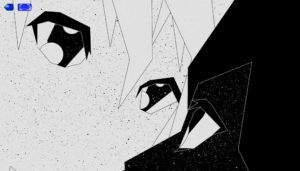 She heaves and grunts to give an impression of how it sounds, and it’s not unlike the hyperventilating whoops and howls of a song like ‘Chorus’. It’s the track that follows the first, ‘Interference’, on her second album Platform – out on RVNG Intl and 4AD on May 19 – and it’s one that explores the intimate relationship between a person and their laptop. Made up of sounds recorded from Herndon’s own computer’s processor – its inner life – ‘Chorus’ combines the clicks and currents of said device with her own voice that’s sampled, cut and filtered in a way that one could almost imagine how this electrically powered entity would actually hear. “I’m kind of already spying on myself in that one”, she says about the early implications of the single and accompanying video by Akihiko Taniguchi released in January last year. 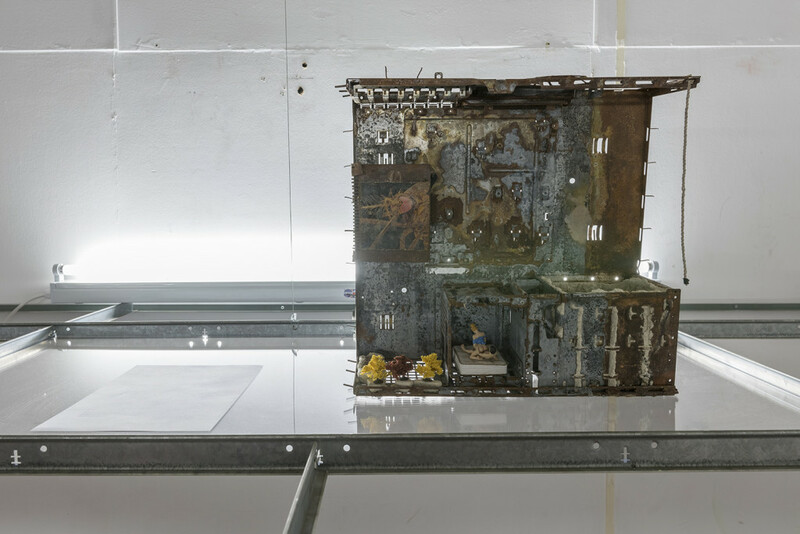 It features browser windows, files and images, as well as webcam video and floating 3D renderings of searches for washing powder, pigeons and clothes pegs. “[It’s] spying on people in their very personal workspaces, and the very personal private spaces where they’re also spying online.” That was followed by the other side of stalking and being stalked beyond individuals to government surveillance and mass control via the networks we’re connected to in ‘Home’, released as another video in September. It’s one of two, produced with graphic designers Metahaven, along with Herndon’s long-time partner Mat Dryhurst, and a part of many other interdisciplinary collaborations on Platform including those with Colin Self (also of Chez Deep), Claire Tolan, Spencer Longo and Amnesia Scanner. 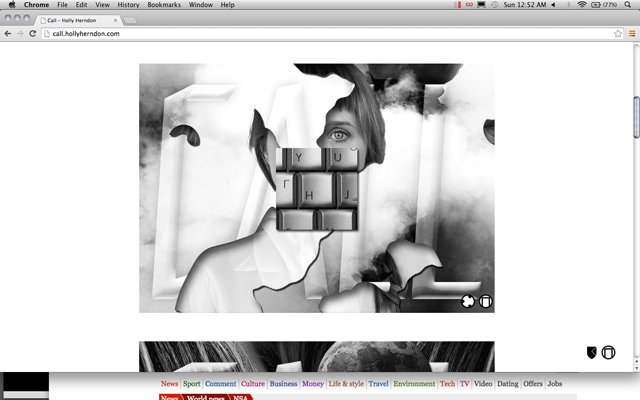 Metahaven x Holly Herndon, ‘call.hollyherndon.com‘ (2014). Screen capture courtesy Metahaven. “It gets really lonely in the studio, you know?” Herndon says matter-of-factly about a part of the reason she’s embraced the collective route to production. But it also gets like that in a world where the noose of social alienation and political oppression seems to tighten with every high-tech advancement. “I feel like people try to imbue technology with a specific agency,” Herndon, and by extension Platform, says, rebuking the suggestion that we have anyone (or more specifically, anything) to blame but ourselves when it comes to this current climate of what the album press release calls “systemic inequality, surveillance states, and neo-feudalism”. That’s why, in summoning the involvement of other artists, writers and thinkers, with a similarly active interest in the basic notion of human liberty, Platform becomes a musical manifesto of political resistance. Literally having just flown in from a show in Chicago late that evening for her first night in her new home (“no need to use a camera, I’m still in my pyjamas”), Herndon is understandably exhausted. She switches Skype apps, between laptop and phone, struggles with her tangled earphones and own exhaustion to offer insight into our changing relationships with technology, agency and oppression, and how we as a community can adapt. You’re working with all these people who are really dispersed geographically, would you say that there is some kind of shared intent, or aesthetic, or ideology between you and the artists that you’re working with in this particularly movement generally, or is there even a movement to speak of? Holly Herndon: I don’t know if I necessarily want to call it a movement but I think that there’s definitely a shared proactivity. There’s criticality, but joined with optimism and proactivity. Do you think that optimism is shared by many people or a specific set? HH: That’s hard to say, I feel like I experience a lot of cynicism today and I feel like often when you show optimism, people can be very glib, and I don’t know, I find that really exhausting. HH: [laughing] That pretty much happens all the time. But that always happened in literature, where people would reference something, probably not with the intention of claiming an idea, but it comes with the presumption that a reader would get it. HH: I see that as a little bit different. Whenever I see those references in literature, it’s more like, ‘oh, ha, ha, I know you know and this is like a fun little witty thing’ and ‘oh i get where this reference is from’. It’s more like an intellectual game or something and I think that’s different from just like lifting someone’s idea [laughs]. Holly Herndon, Platform (2015) album cover by Metahaven. There are artists out there who do that as their entire practice; appropriating work, reformulating and representing it as their own, without adding much, if anything, as some kind of pseudo-commentary, but not really critiquing it and just benefiting from it. HH: I think our culture is rampant with people ‘pseudo’-criticising things and simply benefitting from them [laughs]. That like sums up the last… I often think that a lot of people do it under the guise of criticism without really criticising anything. I also think it’s a very ripe time for us to not necessarily just say, ‘oh, that’s bad and we all know. I know that you know’. It’s more interesting right now when people are like, ‘this thing is bad and so why not try this thing?’ I find that way more inspiring, when someone has an alternative idea instead of just poking fun at, or showing that they know something should be criticised. I feel like that’s what’s problematic about art, ‘creating this great problem’. Why can’t it be creating these great answers? I remember you speaking at Unsound 2012 and saying that with technological development come new problems and new ways to solve them. HH: Yeah, I mean, I don’t remember the context of that talk, it’s been so long but that sounds like it’s still very much in alignment with what I’m working with now. People sometimes like to think of technology as the problem, which is so bizarre. HH: Well, I feel like people try to imbue technology with a specific agency, like ‘good’ or ‘bad’ and I don’t see it like that at all. I see it as more of a neutral, or just like an extension of human thought. It has everything that’s good and bad in human interaction because it’s a part of human intellectual thought. So then does the existence of technology imbue a person with greater potential for destruction? Like the human that wields the gun is the problem, but the gun makes it easier to kill people. HH: So you’re thinking about the gun metaphorically in terms of technology? HH: Oh my god [sighs heavily]. Sorry am I doing what you didn’t want me to do? HH: [laughs] No. Yes, a gun is a technology, but this gets really specific into how certain technologies are regulated [laughs]. Yeah, the gun does make it easier to kill someone but I’m from the South and a hunting family, so I grew up with guns being used to make dinner. HH: I also don’t believe in the NRA thing of everyone needs to be able to own a machine gun in the United States to really have personal liberty but, I guess, philosophically speaking, the gun doesn’t necessarily have agency. Of course, certain technology can be developed in a way that has been designed in a specific way, but if you look at the technology of the gun, it’s like the steel and the mechanics, that can be designed in a way that’s both positive and negative [laughs]. So if you’re looking at technology or the design of certain tools, you’re looking at something as basic as C++. It’s just a language, and that can be used in both a positive and negative way. That can be designed in a way to spy on you, or to protect your privacy. You’ve lived in a few major cities already, and you’ve just relocated to LA from San Francisco, why do you move around so much? HH: I’m so not tied to any one particular place. My partner grew up in Kuwait and he has been moving around since he was old enough to do so. I grew up in Tennessee and I knew from the age of two that I didn’t want to live there when I grew up [laughs], even though I love visiting my family there. So we’re both just so not tied to any specific place, if we can’t afford one place, or if it’s not working anymore, or we can’t handle the dynamic in one place, it’s very easy for us to get up and leave because we’re not so emotionally tied to any one specific location. And I guess it makes it easier because you can still maintain relationships online? Do you think it’s a cultural thing or an age thing? HH: I think it’s probably both but I think people are way more transient these days. People move around way more and it’s totally normal to live in a city for three months, hang out with someone there for those three months pretty regularly and then go to another city. It’s not like that friendship ends but you don’t have to see each other quite as often. I actually do think the nature of relationships has changed. And this isn’t for everyone, this is an incredibly privileged position to be coming from. To be like, ‘oh yeah, I can move here if want to, when I want to, because my work is mobile’. I think most people are probably still tied to wherever their income source is, physically. So I think I’m speaking for musicians and artists on the large part. And rich people [laughing], they can do whatever they want! Also people of certain nationalities that can’t move around as freely as others. HH: That is absolutely the case. When thinking about the song New Ways To Love, does this relate to the way relationships are changing? HH: Yeah, I never really thought about it that way. I think with that, I was trying to think more like, ‘with new problems come new answers and new ways to connect and trying to solve them together, and to come together, and to help each other’. Also it comes from, that with these new conditions come new modes of emotion. So we don’t’ necessarily need to rely on the same emotive tropes that we have. Music is pretty guilty of that, where very specific vocal inflections mean one very specific emotional thing and it’s like that will be the same for 50 years, even though the world is dramatically changing. So I really like the idea of us being open to finding new ways to be emotional and not always to rely on a kind of emotional nostalgia. I was thinking more in terms of polyamory being a thing. HH: Oh god! [laughs] Gosh, I’m reading this book right now, Perdido Street Fiction, have you ever read that? 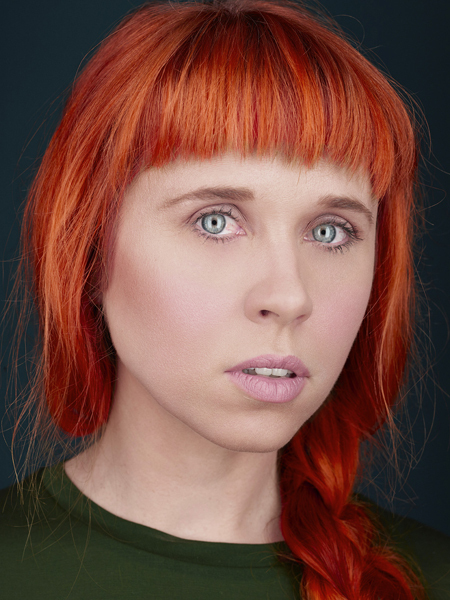 Holly Herndon’s second album Platform is out via RVNG Intl and 4AD on May 18 in the UK and May 19 in the US. 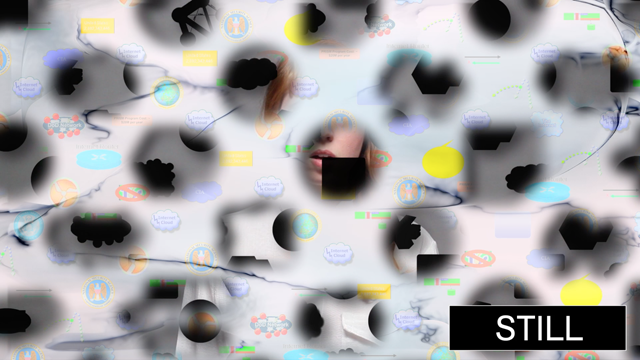 Header image: Metahaven x Holly Herndon, ‘Home’ (2014). Screenshot. Courtesy Metahaven. The commons is a place that operates outside political, economic and commercial influence. At Society: The Commons / Public Space, the third London-based panel at the ICA, it is in the disappearance of such spaces that curators Helen Kaplinsky and Julia Tcharfas, artists Stephan Dillemuth and Eleanor Saitta, and Metahaven member Daniel van den Velden find focus. Established by Amsterdam-based curator Melanie Bühler in 2011, Lunch Bytes has become a international discussion series of sorts, exploring the role of the internet in creative practices first with an ‘American Edition’ in Washington DC and Miami and moving across Europe throughout 2014 to culminate with a symposium in Berlin next year. It’s no coincidence that, as a programme concerned with “the increasing ubiquity of digital technologies in the art world”, the role of networked connectivity in effecting this restriction on free and autonomous areas, both online and offline, should be of central concern in London. The ‘commons’, after all, is an Anglo Saxon term for scrub and arable land jointly owned by all village members, divorced from social status. Throughout the 16th, 17th and 18th centuries, such areas of collective ownership were increasingly privatised, spreading to industry and welfare housing through 80s Thatcherism, then to creative production and the art industries in a post-Fordist 21st-century economy. Stephan Dillemuth, ‘Coal By Any Other Name’ (2000). American Fine Arts Museum. Courtesy the artist and Lunch Bytes. Citing an early experiment in creating space independent of capital markets, Dillemuth describes his ‘Frisenewall 120’ (1990 – 94), a storefront organised with fellow artist Josef Strau and located in Cologne’s central gallery district. It was meant to serve multiple functions, alternately operating as a video and newspaper archive, a gallery, a meeting point. Outfitted with a reading room and couch, it functioned as a place of social and intellectual exchange, aiming to offer a temporary supplement to the existing gallery system in the German city – a kind of situational intervention within a milieu increasingly constrained by market considerations. 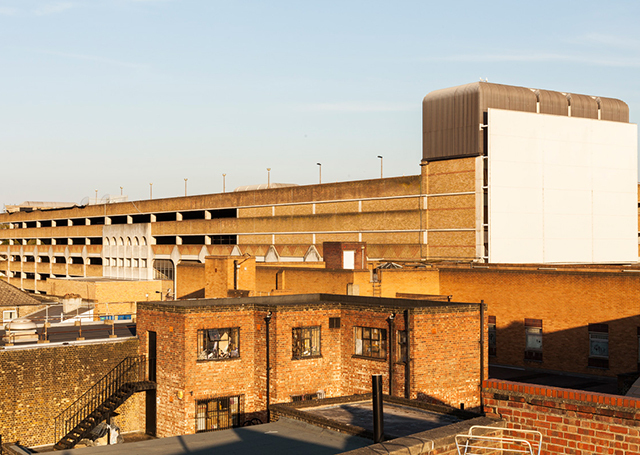 Citing the imminent eviction of London’s Lima Zulu project space, Dillemuth was sceptical about whether such an area is now possible in the capital. ‘Recent Work by Artists’ (2014) is another example of a gallery space aiming to operate outside of market control. 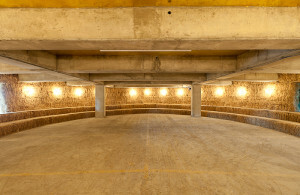 Commissioned by Auto Italia, it was a collaborative project, including Tcharfas, Tim Ivision, George Mustakas and Rachel Pimm, located in King’s Cross, which then moved to Can Filipe Artes Visuales in Barcelona. For the duration of the exhibition, the space became a site of artistic production itself, investigating “how artists’ workspaces might function today”. Providing the basic amenities necessary for work, the exhibition became a space in which to reimagine the material conditions of artistic labour. 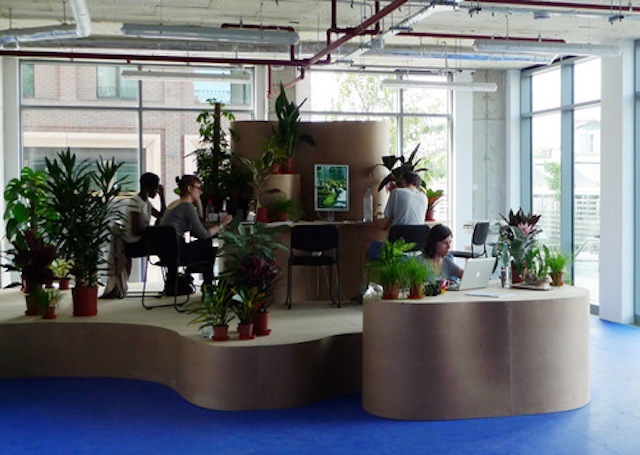 Made up to look like an office space, with pot plants, a photocopier and water-dispenser, the installation revealed the cognitive production of such work, and demonstrated just how much places of leisure, consumption and production are becoming blurred. Julia Tcharfas, Tim Ivison, Rachel Pimm, and George Moustakas, ‘Recent Work By Artists’ (2013). Commissioned by Auto Italia. Courtesy the artist. As privatisation and a lack of funding means experimental not-for-profits are being squeezed out and replaced by commercial upstarts grounded in physical space, so too are online activities subject to commercial and political constraints. Market forces, the swirl of capitalism and overarching political agendas all encroach on the possibility of the free and emerging public space. And yet innovative agencies trying to forge an existence outside the capital-driven art market need a common space free of economic constraints; without this the possibility of non market-enclosed art that remains free for all becomes increasingly endangered. Lunch Bytes is a discussion series examining the increasing ubiquity of digital technologies in the art world. The next event Society: Public Space / Architecture is in at Dublin Irish Museum of Modern Art, October 17, 2014. 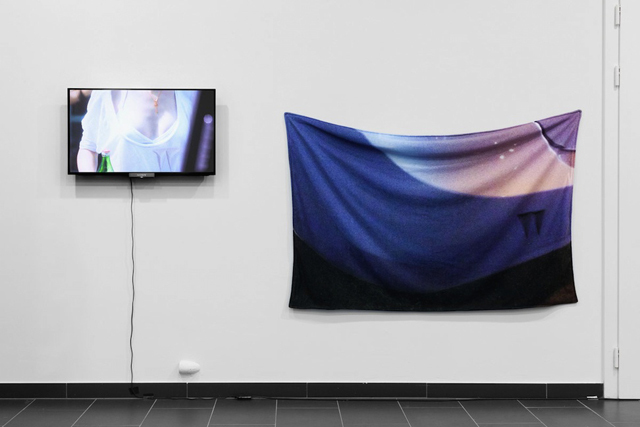 Header image: Stephan Dillemuth, D3pt0fSurv31ll@nc3&3ncr1pt10n (2013) @ Bergen Assembly installation view. Courtesy the artist and Lunch Bytes. Lunch Bytes is hosting another ICA event this month, titled The Commons/Public Space and taking place at the London venue on October 4 from 2 to 4pm. Like the Lunch Bytes-organised talks before it, The Commons invites a handful of artists and design groups to discuss the concept of “the commons” and how we conceive of and use public space in the modern age, including artists Stephan Dillemuth and Julia Tcharfas, designer-hacker-writer-artist Eleanor Saitta, and design and research team Metahaven. Considering the spread of commodification and the resulting capital-driven art market – and moderated by curator Helen Kaplinsky, responsible for the recent The Posthuman Era Became a Girl event at SLG – The Commons investigates the notion of art as a common good in the age of the internet and online living and in the face of increasing privatisation. It’s appropriate that I’m talking to Metahaven on PiratePad. Having pushed for Skype and settling for ‘chat’, Daniel van der Velden – with creative partner Vinca Kruk always cc’d into email – sends a link to a ‘Hello!’ on the online etherpad doc, the design agency’s answers highlighted pink, to my green, in what is a last-minute interview graciously granted and swiftly started within a day of the suggestion. It’s a real-time conversation as both ends multitask – answering, waiting, working, searching for links – with van der Velden occasionally poking fun, once bluntly retorting, “is this an attempt at an art school examination?” to my inane inquisitions on a colour choice. Another time simply replying, “’magic realism’ sounds nice” to a long-winded interpretation of what the use of the term in the press release for their role in Auto Italia’s upcoming POLYMYTH x Miss Information exhibition is all about –apparently nothing much. Metahaven x Holly Herndon, ‘Home’ (2014). Screenshot. Courtesy Metahaven. Dry humour aside, Metahaven’s insight on both the formal and political machinations of aesthetics and design is unparalleled. It’s something they already examined in their recent Black Transparency exhibition only to generously elaborate in conversation; from the influence of Walgreens and Sandra Bullock on the visual language of US intelligence agency, NSA, to the role 90s sci-fi and Ferrero Rocher plays in their recruitment strategy. This is, after all, the duo who developed the brand for renegade micronation, Sealand, and designed merchandise for Julian Assange’s WikiLeaks. “We were always interested in pop”, says Metahaven, as they point to the “pop phenomenon” that is the aforementioned Australian-born enemy of the state, suggesting that the move to working on the visuals for cutting-edge electronic artist Holly Herndon is “not like a switch at all”. All pretty pastel icons and feathered circle cutouts their debut collaborative video for ‘Home’, released by RVNG Intl, is essentially a break-up ballad for Herndon’s laptop. After celebrating the embodiment of her complete being in her harddrive in ‘Chorus ’, ‘Home’ follows a betrayal, a breach of trust, where she suddenly realises nothing is as it seems and there’s someone else involved -her computer wasn’t the person she thought it was. PiratePad doesn’t sound nearly as cute as Google Docs. There’s the gooey voiced velar stops of a baby in the latter, the pursed-lipped ‘p’s’ of the former evoking an off-the-grid exile stalking the peripheries of mainstream channels, cut adrift on the swampy surface of the deep dark web. ‘Home’ too looks nice and sounds like it’s safe but bad things happen where you least expect them. I noticed the colour scheme for the major text in video you did with Holly was very similar to Google’s primary colours. Was that intentional? Metahaven: No. You will see that of Google’s colors, yellow is missing. The colors used are red, green and blue. Is there some special significance to those particular colours? Mh: Not particularly, but they are RGB. And RGB is relevant because…? Mh: RGB is what our screens have. It is the CMYK of the digital world. But nothing of such portentiousness was behind the type color choice. We tried different options and this looked nicest, the most bubblegum like. It seems like there’s an emphasis on this ‘soft’ aesthetic around of these enterprises like the NSA in the icons that inundate the screen of ‘Home’. Are these images that already existed or are they ones as imagined by you? Mh: Trevor Paglen has done a lot of work on the so-called “black programs” and the patches that are worn by pilots who fly Darpa spy planes from Groom Lake Air Force Base, etc. The NSA’s secret programs have similar icons but ones that are mixed with a system administrator, USB key, Windows / Office art world that reveals the aesthetic realities of waging war from behind a fake wood veneer desk. To us it is fascinating that these icons and brands were developed purely internally; never to be seen or understood by the public, which in a way gave their designers total freedom. One NSA program is called BOUNDLESS INFORMANT. A GCHQ homemade computer Trojan is called Ambassador’s Reception. Indeed, the icons in ‘Home’, which are the NSA’s, are more Office and Post-It than these black world patches. All the icons used are found images. We designed none of them but on some occasions made them black or embossed them with marble, depending on how much NSA we wanted in that part of the video—highlighting their shape, or silhouette, rather than their content. Mh: Why are you not excited about staying in touch all the time? (laughs). Telecommunications companies like o2 used to sell the idea of connectivity of which they were also the caretakers and providers, like you connected to the network using their equipment, their telephones, and now they are by comparison much more invisible and merging into ever larger abstract connectivity gateway corporations. Those ads are interesting, as the experience of connectivity is nothing all that special anymore. How do you achieve such insight into the internal processes of these organisations? MH: No, it’s basically us guesstimating our way through, based on having viewed NSA recruitment videos and having seen every YouTube appearance of Keith Alexander [agency Director]. 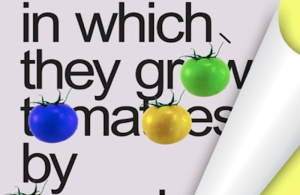 As designers we have quite a keen eye for the psychology of font use, color use, and drop shadows, for example. You can tell that most icons for the NSA were done under quite nerdy and boring circumstances, coming out of something that is an overlap between army, office, hacker, and wannabe. The aforementioned British government Trojan AMBASSADOR’S RECEPTION refers to a Ferrero Rocher TV ad from the 1990s. That in turn may tell you something about the age of the person who has given the Trojan its name. Mh: I recall many years ago, I was doing some teaching in an art school in the US, and you had to come to the system administrator to get access credentials to the network. This was pre-9/11. The system administrator was very corpulent, had a ponytail, and had a USB key and cell phone dangling from his belt, and was seated amid monitors, paperwork, and half-broken routers and so on. Then he didn’t really look at me but just said, “ARE YOU VISCOM?” It took me time to realise that he meant “visual communication”. The NSA seems a bit like that; acronym-obsessed and wanting to appear really “robust” but it is all a lot messier than that. But you are right: entertainment, war, food, and business. That’s what it’s all about. Do you think then, that these are conscious, systematic decisions being made by some kind of political elite or a culmination of all this imagery, ideology and conditioning, black swan events, that has lead to this bizarre visual culture? Mh: The irony is that it’s probably not all that centrally controlled. The programs maybe are, but their iconography looks so chaotic. The NSA recruitment videos make the agency seem like a sort of Walgreens. They make it seem like everyone can get a job there, and it is in some way portraying itself as a sort of paradise of equality but you are encouraged not to think too much. They also have a public counsel, who puts everything the NSA does operationally which they can talk about publicly in very soft, democratic, and agreeable terms. It sounds a lot like Silicon Valley. mh: But without the competitive edge and the glam. There is no Evan Spiegel [Snapchat CEO] at the NSA… yet. Mh: The NSA is a behemoth-sized state program with a large revolving door with the private industry. But it is not in itself innovative or cool. It is a state enterprise, and I think quite a good caretaker of its employees, because why would you encourage disgruntled former staffers to become whistleblowers? It may run on “unquestioned loyalty” more than on being a hip VC-funded startup. Many of the NSA’s employees may have read some form of cypherpunk science fiction (Bruce Sterling has stated this—“They are my readers, those high-IQ spook geeks”) and then probably non-fiction books enlisting various “bad guys,” enemies of the state, etc. We think of the NSA as very The Net. Every time Keith Alexander says “cyber,” Sandra Bullock is hitting the keypad of her hacker pizza computer. That is also the scariest part. There is so much nostalgia and past in the NSA. It has nothing to do with the future—it doesn’t want it. Mh: Not really, no. We think that running the NSA, and creating all these icons, has a strong dependency on myth. Believing in certain myths, and some foundational imagery for these myths—the terrible cyberhacker, Julian Assange “the high tech terrorist” (© Joe Biden), and other things—are based on popular culture of the 1980s and 1990s, on spy novels, etc. It’s not that that gives you loyalty but there is probably some shared pool of references, internal memes, that run the show. Mh: Totally, the aesthetics of totalitarian products are non-offensive and liberal; “apricot” rather than orange, “yoga” rather than martial arts, completely smooth, with the actual abstract power that is at work (in a Hannah Arendt kind of way, mind you) being neatly packaged on unilaterally positive and “amazing” terms. There are these Amanda Rosenberg videos where she (as the former PR lead for Google Glass) personifies various characters who are fascinated by someone they encounter who is wearing Google Glass. And one thing she says in this roleplay is that the glasses must be so helpful, because she always forgets names, and you can invisibly Google anyone you meet. Mh: On the one hand technology is so integrated with life that we don’t see it and don’t question it. On the other hand it is some sort of ‘Big Brother’ or ‘Big Other’. So there’s the abstraction of technology’s embedded-ness, which is a bit like the classical idea that “good design is invisible”. We don’t question it. Then there is technology’s overpowering Big Other presence, which is also an abstraction, but more Stalin than Dieter Rams. It’s interesting to watch Holly’s work evolve as it has. From something acutely personal and seemingly uncynical to this overtly political project she’s doing with you. Yet, outwardly it seems as though your position hasn’t changed since working with Wikileaks and Sealand. Was there a point in your career as Metahaven where there was a certain switch? MH: Holly’s music has always been acutely personal and it still is. But she is interested in looking over the fences and boundaries of the music industry, while increasing her impact and audience at the same time. It is amazing to work with someone with such a strong sense of artistic autonomy and, at the same time, such a capacity for collaboration. Working on this is obviously very different from working with WikiLeaks and even so much more different from making things for Sealand. We were always interested in pop. Around the time of the Sealand identity we were reading a lot of Richard Hamilton’s writings, and WikiLeaks was itself a pop phenomenon with Julian Assange telling us that in every given merchandising situation there should be no more than five choices for the consumer. The continuation with cutting-edge pop music feels very natural, and not like a switch at all, with the added pleasure of an amazing record label, RVNG. We just last week spent three days in Amsterdam with Holly and Mat, filming a new music video, for a forthcoming track. It will be insane. Mh: They sent us an email last year, and everything evolved from there. The press release for your POLYMYTH collaboration mentions ‘magic realism’. Metahaven is an Amsterdam-based strategic design agency. 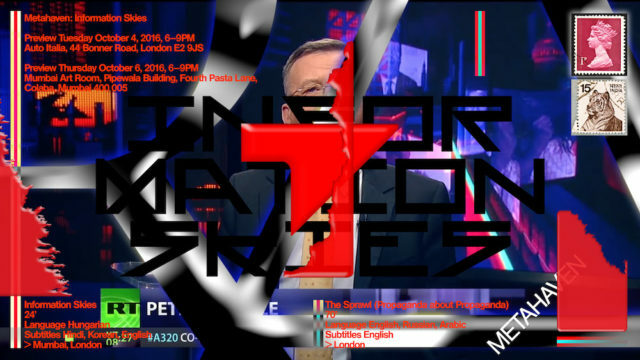 They will be taking part in the POLYMYTH x Miss Information group exhibition at London’s Auto Italia, running from October 4 to November 16, and Lunch Bytes’ The Commons panel at the ICA on October 4, 2014. Group exhibition BRANDS – CONCEPT/AFFECT/MODULARITY is running at Birsfelden’s SALTS, April 6 to May 21. Curated by Lunch Bytes organiser Melanie Bühler and featuring artists Kari Altmann, Florian Auer, David Jablonowski, Pierre Lumineau, Metahaven, Pamela Rosenkranz and Anne de Vries, the exhibition explores the highly problematic position of corporatised images and commodity branding-as-art aesthetic. 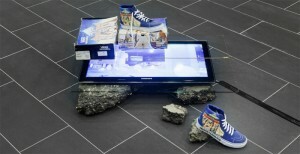 By “intensifying the value of their own visual capital”, adapting the embedded codes and signifiers of the networked image, artists identify and interrogate “the surfaces, visual regimes and aesthetic potentials of branded goods”, ultimately questioning the blurred border between adaptation and reproduction; critique and collusion. Kari Altmann, “Ttoshibaa- 10,000 Impressions” (2009 – ongoing). Photo by Gunnar Meier. 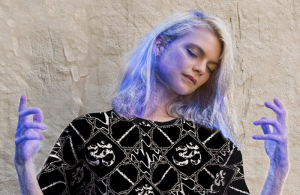 From “transparent camouflage” to Black Transparency, Metahaven take their 2010 Wikileaks re-brand to the next level of “involuntary transparency invoked on organisations and nation-states by whistleblowers and hackers”. 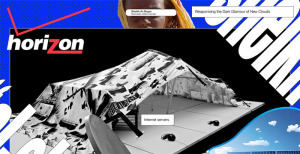 As the confidential file-sharing site’s official designers responsible for producing the self-censored scarves sold to raise funds –while dodging direct-donation embargoes courtesy of Visa, Paypal and MasterCard– the Amsterdam-based duo of Vinca Kruk and Daniel van der Velden dig deeper into this geopolitical phenomenon of visibility-via-evasion. In two-parts and across two locations – with works in Future Gallery’s new location at Keithstraße as well as their old Mansteinstraße space – the exhibition plays forerunner to its published namesake Black Transparency: The Right To Know in the Age of Mass Surveillance (out through Sternberg Press in April 2014) and explores the mercurial nature of modern activism. Transparent Camouflage , (2011-2013): WikiLeaks scarves and t-shirts. Installation view, image courtesy Future Gallery. Opening a week apart and first held at the Keithstraße 10 space, usually occupied by Import Projects, Black Transparency presents Metahaven’s ongoing collaboration with Conny Groenwegen, a fashion designer situating herself “where inventions in production technology define themselves into new artifacts”. In ‘Data Stitch (Prequel)’ as they call it, a flowing abstract work constructed from cotton scarves, paint and wax visually demonstrates the connection between information and fashion. Similar connections are made in the the Wikileaks series; grey t-shirts with an undulating Wikileaks logo and vibrant silk scarves, both see-through and concealing, line a wall of the gallery space. Somewhere between artwork and advertisement, the products reveal elements of the organisation’s identity while keeping others a mystery. Across the room several videos are presented on small screens, Skype interviews with notable online activists, academics and politicians. Smári McCarthy, Birgitta Jónsdóttir, Alexa O’Brian, Amelia Andersdotter and Gabrielle Coleman talk to Metahaven about their connection to Pirate Parties International or alternative software practice. The design studio also proposes a new model for data hosting, in the bedouin utopian tent to be seen through the window of Future Gallery’s old Mansteinstaße location. 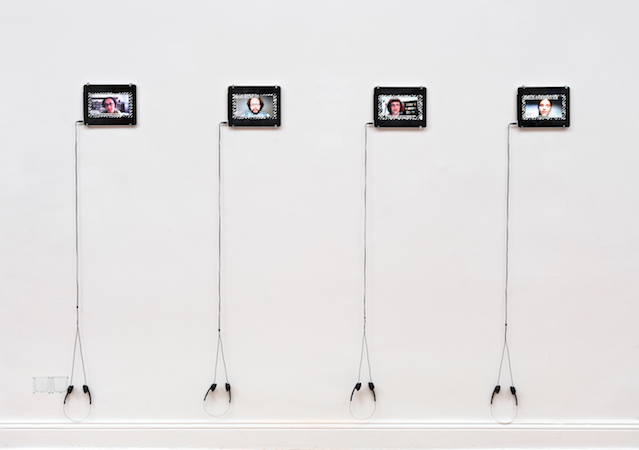 Installation view, image courtesy Future Gallery. Having worked with posters as geopolitical board games in the past, in the Berlin gallery space Metahaven present a similar activity in the form of a horizontal map of the ocean; the international water where the Anonymous cargo ship sails with its data, in search of new host: Sealand. A self-proclaimed micronation that became a free port for the internet and occupies a full chapter in Metahaven’s 2010 publication Uncorporate Identity, Metahaven were charged with designing a whole new identity for this anarchist state, in a similar way to what they did with Wikileaks. On the walls above the map, several silk flags hang announcing, “Ask me about transparency” and “Captives of the cloud”, through talking balloons and cartoon-like faces through a cryptic narrative. It asks, “Is the future of the world the future of the Internet?” without offering any concrete answers. 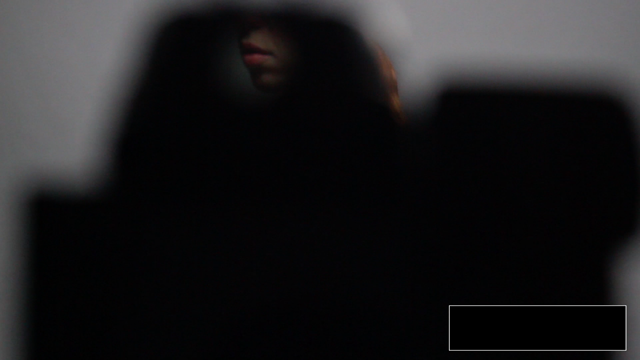 Black Transparency from metahaven on Vimeo. Metahaven’s Black Transparency exhibition is on at Berlin’s Future Gallery, running from March 20 to April 19, 2014. Header image: Metahaven, ‘The Good Ship Anonymous‘ (2013). 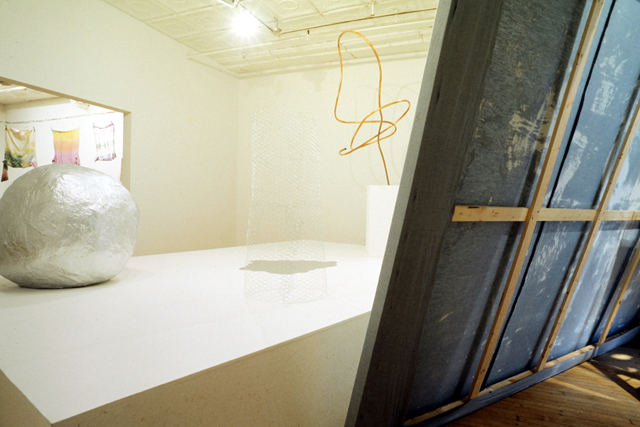 Installation view, image courtesy Future Gallery.